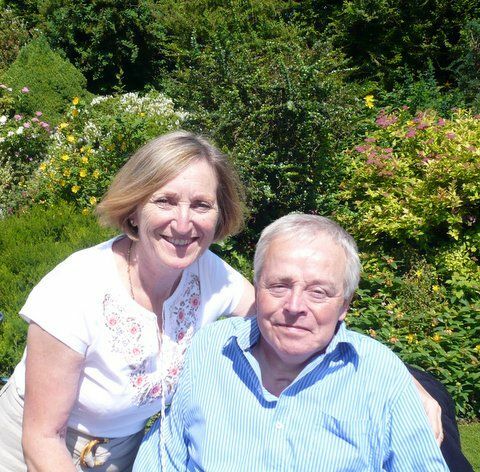 Sadly, Kay lost her husband Mike and made the generous decision to ask those close to them to donate to Back Up in lieu of flowers, raising an incredible £1000. “After Mike’s death, I decided to donate to Back Up because they were there for me at a time when I really needed help. ”Helping me also helped Mike and I know he really appreciated this. I know he would be overwhelmed with the response and very happy that the money will be put to good use”. She first got involved with Back Up in 2009, after Mike was left permanently paralysed. She received support from a family mentor. “When I first spoke with Back Up I was quite distressed. Within two weeks, they had matched me up with a mentor. They found me such a good match. She was instantly the right person for me. £1000 will allow us to train two new volunteer family mentors to support more people like Kay. Donating in memory of someone special can be a positive way to celebrate their life and support our vital services. It will allow us to train even more mentors who can be a lifeline for people like Kay, supporting them through their darkest hours when they need us most. Friends and family can give an extra special gift with the knowledge that it will make a huge difference to the lives of everyone affected by spinal cord injury. Talk to your funeral directors. They are there to take the stress away and ensure everything runs smoothly without any worry to you. They will be happy to organise the collection for you. Often they will collect money in lieu of flowers and forward it on to charities. You may want to add a line to the order of service telling people why you have chosen this charity, or have the celebrant draw attention to the collection at the end of the service. We can help you set up a personal page using Charity Checkout which you can direct people to or some people choose to set up a Just Giving page in memory of their loved ones. Friends and family can then visit the page and leave messages and donations. If you would like more information on leaving a gift in memory to Back Up, please contact our Fundraising Manager, Janet, by email or call her on 020 8875 1805.